Rodgers Catch Irregularities of First Goal MU – Liverpool manager, Brendan Rodgers, Michael Olivier criticized the decision of the match Manchester United at Old Trafford Stadium, last weekend. Rodgers rate, the first goal the Red Devils also influenced by a controversial referee's decision. In the 48th minute, Olivier rewarded Nathaniel Clyne with a yellow card as well as providing a free kick on the left side to Manchester United. The Red Devils did not waste the opportunity. Juan Mata's execution that was a horizontal shoot continued with a hard shot of Daley Blind so that the Blind's kick was thrilling goal. 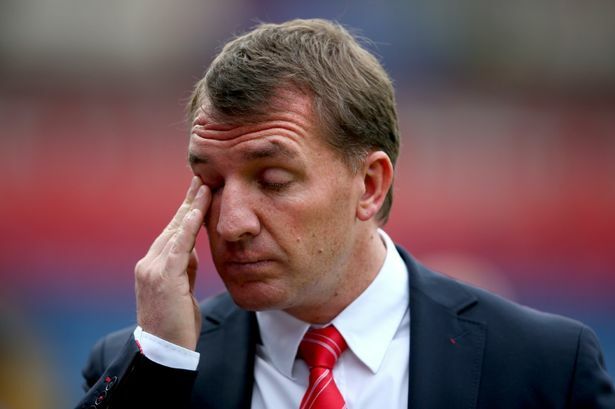 Rodgers said that he did not see a free kick. Nathaniel Clyne survived very well. They both also were in position to the running equivalent. They got a free kick that harm the Reds, then they scored. However, Rodgers still catches many shortcomings of his team, one of which is the line of attack. In five games, the Reds only scored four goals. A man who has the Northern Irish nationality is also said that every club needs better technique and superior with the ball in the build of attacks. Liverpool should be and needs to further hone.